The current climate challenge is an opportunity, say the authors of the recently published New Climate Economy report, presented at the UN Climate Summit in Lima, Peru. 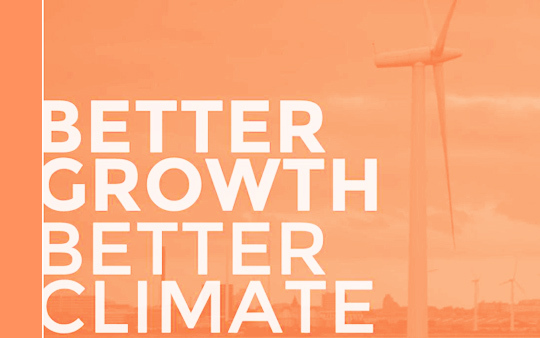 Politicians do not need to choose between the economic growth and fighting climate change. What they have to do is just to make a bet on low-carbon development. The New Climate Economy report is basically a message from the world’s leading economists to representatives of the countries, who are going to sign the new climate agreement in Paris next year. On top of the list of the report’s authors is Lord Nicholas Stern, the former Chief Economist of the World Bank, the head of the Government Economic Service and the economic and development advisor for the British Government. The Organization for Economic Co-operation and Development (OECD) has projected that if current trends continue, as the global population grows from 7 billion in 2010 to more than 9 billion in 2050, per capita consumption will more than triple, from about US$6,600 to US$19,700 per year, and global GDP will nearly quadruple, requiring 80% more energy. The experts pay special attention to energy issues in the report. ‘The political leaders must recognize the urgency of the moment and stop delaying the action… It is important to admit that the path towards low-carbon economy is appropriate and attractive for the states. It is the essence of the ‘high quality growth’, a symbol of clean investment and innovation,’ summarize the leading economists.